It's a magic of snow. What's so amazing about snow (aside from myself as an avid snowboarder), is that it drastically changes what we call usual. 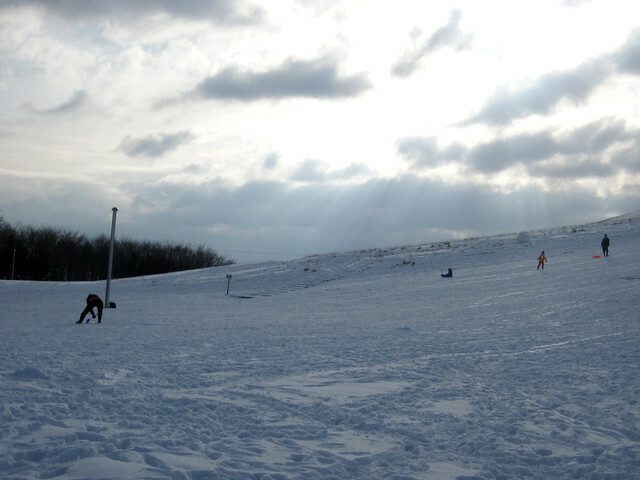 White-fluffy stuff covers up what we call "everyday" and its consequence -- a new perspective, which could never be attained without snow, emerges. 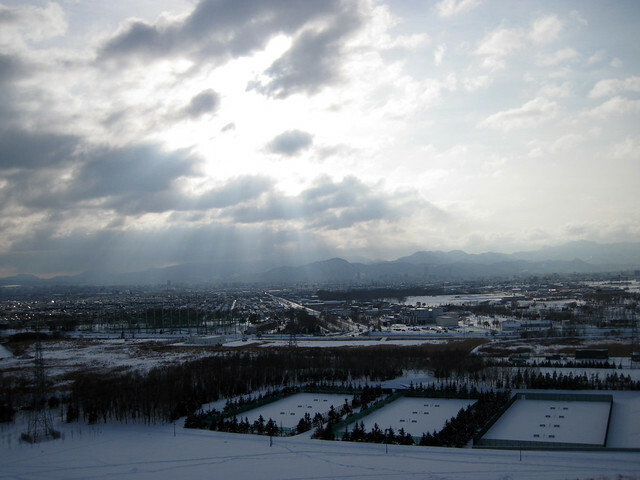 This tendency becomes edgier at this particular park in Sapporo, Hokkaido. 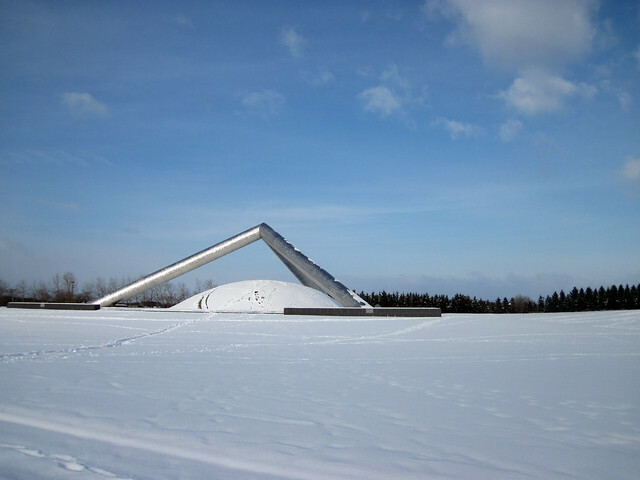 Moerenuma Park, a public park designed by Isamu Noguchi (a Japanese-American sculptor) is one of the edgiest park structures in the world. 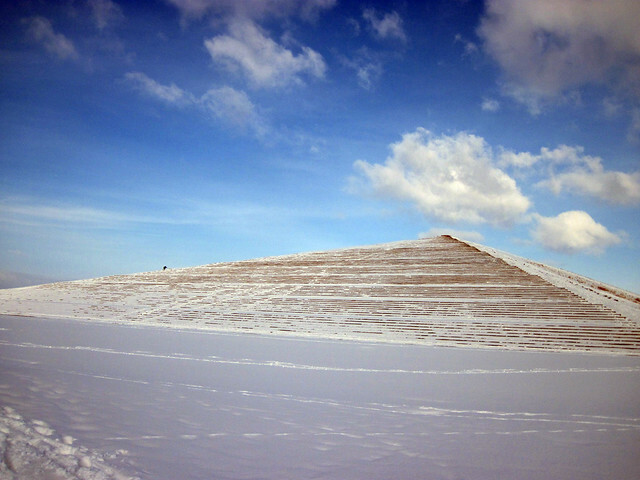 It's artificial hills and contemporary structures are drawing yourself to the world of unusual. Now, what happens to this place during the winter? Here it is. Turns out, the park becomes more unusual, edgier place. View, from the top of hill. 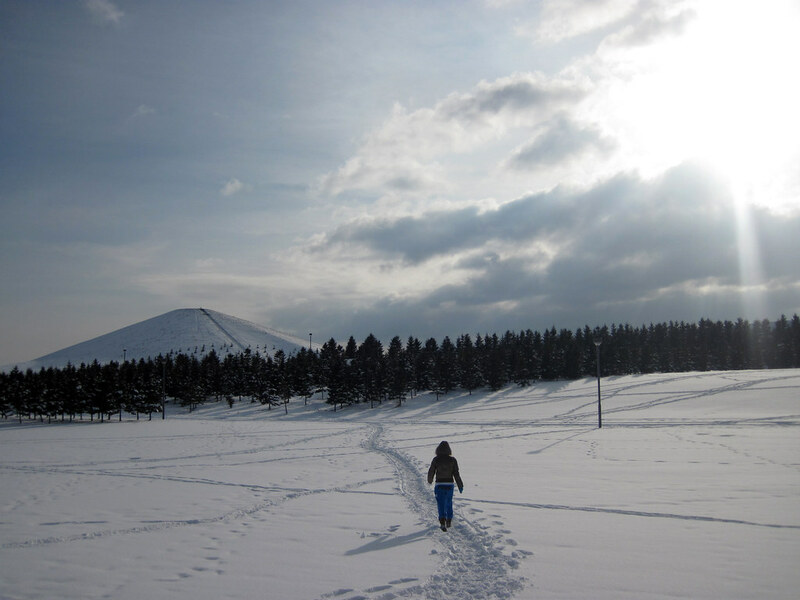 Experience the white edginess, only 45 minutes subway+bus ride from the center Sapporo.